to be held in conjunction with EC-TEL 2013, Paphos (Cyprus). September 17, 2013. This workshop is a direct follow-up of last year’s EC-TEL workshop ARTEL 2012, and the previous workshops ARNETS11 (Awareness and Reflection in Learning Networks) and ALECR11 (Augmenting the Learning Experience with Collaborative Reflection). to create an agenda for future ARTEL research and development. Awareness and reflection in specific contexts, such as higher education, work-integrated learning, learning networks, etc. Full papers (max. 15 pages) that describe problems, needs, novel approaches and frameworks within the scope of the workshop. Empirical evaluation papers and industrial experience reports are welcome for submission. Short papers (max. 7 pages) that state the position of the authors within the scope of the workshop and describe solution concepts and work in progress. Demo papers (max 2 pages) describing the motivation of the concept, the system and technology, and scenarios of application. During the workshop will be a dedicated slot were you can present and discuss your system. Additionally, you can submit a video of your system. Videos will be featured on TELeurope. 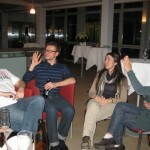 Please submit your proposal via the ginkgo event management system at http://ginkgo.cs.upb.de/events/artel13. All submitted contributions will be peer-reviewed by at least two members of the program committee for originality, significance and quality. The papers will be published in the CEUR-WS.org (http://ceur-ws.org) workshops proceedings. Submissions should use the Springer LNCS template (http://www.springer.com/computer/lncs?SGWID=0-164-6-793341-0). John Cook, University of the West of England, United Kingdom. Jon Dron, Athabasca University, Canada. Mart Laanpere, Tallinn University, Estonia. Alexander Mikroyannidis, The Open University, United Kingdom. Alexander Nussbaumer, University of Graz, Austria. Eileen O’Donnell, Trinity College Dublin, Ireland. Andreas Schmidt, Karlsruhe University of Applied Sciences, Germany. Bettina Renner, Knowledge Media Research Center, Germany. Fridolin Wild, The Open University, United Kingdom. 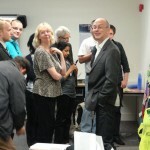 The workshop will have a mixture of paper presentations, a demo session and interactive group work. We aim to link theory and existing prototypes (both from the involved projects and from the presented papers and demos) to practical needs in educational and professional settings. This link will be of value to both practitioners (in that research insights become more tangible) and researchers (in that insights and research prototypes become grounded in practice). We will use various media to encourage comments, questions and identification of hot topics during the workshop. Highlights from the presented papers and tools will be brought together in light of the workshop agenda in a final summary session, and the result will be presented during ECTEL 2013 both in the workshop summary and in the prototype sessions. ARTEL2013 pulls together research on awareness and reflection in technology-enhanced learning across disciplines (psychology, educational science, computer science) and across European TEL projects. In particular, MIRROR, ImREAL, Learning Layers, TELL-ME, and weSpot are co-ordinating projects. To stay updated about the event and with the activity of the goup, consider to join the Awareness and Reflection in Technology-Enhanced Learning group (http://teleurope.eu/artel). 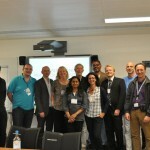 The 3rd Workshop on Awareness and Reflection in Technology-Enhanced Learning (ARTEL 2013) is the third workshop in a successful series of EC-TEL workshops. 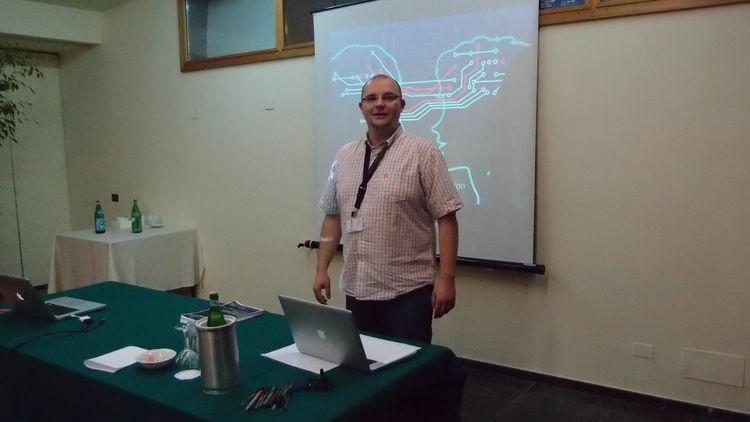 The ARTEL13 workshop took place at the EC-TEL 2013 conference in Paphos, Cyprus. A central element of the workshop was to collaborate and to discuss the future challenges of awarness and reflection research for technology-enhanced learning. The outcome of this discussion is captured in the following mind map. This workshop is a direct follow-up to last year’s ECTEL workshops “ARNETS11 (Awareness and Reflection in Learning Networks)” and “ALECR11 (Augmenting the Learning Experience with Collaborative Reflection)”. The objective of this workshop is i) to provide a forum for presenting and discussing research on awareness and reflection in TEL and ii) to provide an interactive experience that connects participants’ research, the co-organizing projects’ latest proto-types and models with real end users’ learning experiences and needs regarding reflection technology. 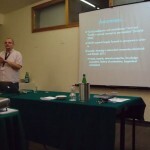 The target audience of ARTEL2012 are researchers and practitioners in the field of TEL. 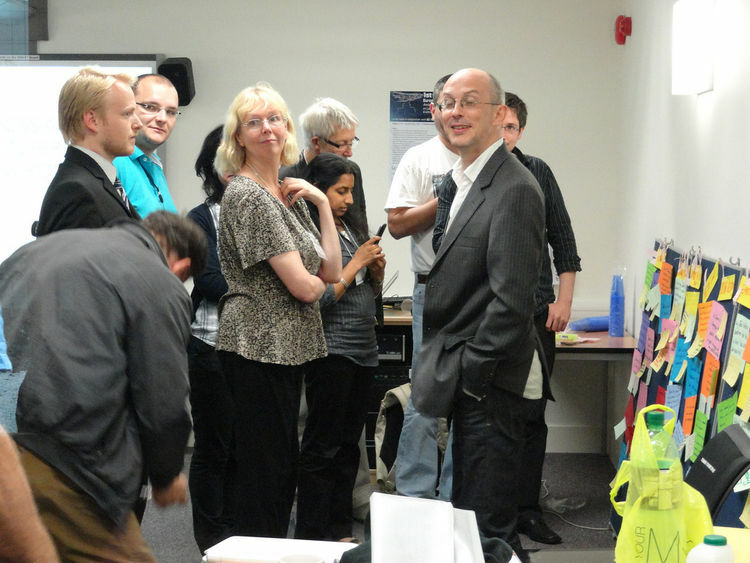 The workshop format will thus be a mixture of paper and demo presentations, and sessions in which we will work to link theory and existing prototypes (both from the involved projects and from the presented papers and demos) to practical needs in educational and professional settings. This link is expected to be of value to both practitioners (in that research insights become more tangible), and to researchers (in that insights and research pro-totypes become grounded in practice. There will be a overall narrative trajectory throughout the day moving from theory at the beginning of the workshop to pragmatic implementations at the close. Posters and demo papers (2 pages) that summarize preliminary work results. All submitted contributions will be peer-reviewed by at least two members of the program committee for originality, significance and quality. The papers will be published in the CEUR-WS.org (http://ceur-ws.org) workshops proceedings. Submissions should use the Springer LNCS template (http://www.springer.com/computer/lncs?SGWID=0-164-6-793341-0). We encourage you to produce your submission using LaTeX as typesetting tool and the respective LaTeX template. To stay updated about the event and with the activity of the goup, consider to join the Awareness and Reflection in Technology-Enhanced Learning group (click on the join group button). To receive emails about activities of the group enable the “Group Notifications” in the “Settings” menu on top of the page. Martin Wolpers, Fit Fraunhofer Society, Germany. Daniel Wessel, Knowledge Media Research Center, Germany. Carsten Ullrich, Jiao Tong University, China. Victoria Macarthur, Trinity College Dublin, Ireland. Peter Sloep, Open University, Netherlands. Rebecca Ferguson, The Open University, United Kingdom. Kristin Knipfer, Technische Universität München, Germany. Milos Kravcik, RWTH Aachen, Germany. Elizabeth FitzGerald, The Open University, United Kingdom. ARTEL2012 pulls together research on awareness and reflection in technology-enhanced learning across disciplines (psychology, educational science, computer science) and across European TEL projects (MIRROR, ImREAL, STELLAR, MATURE, TellNET, TelMap as co-organising projects). 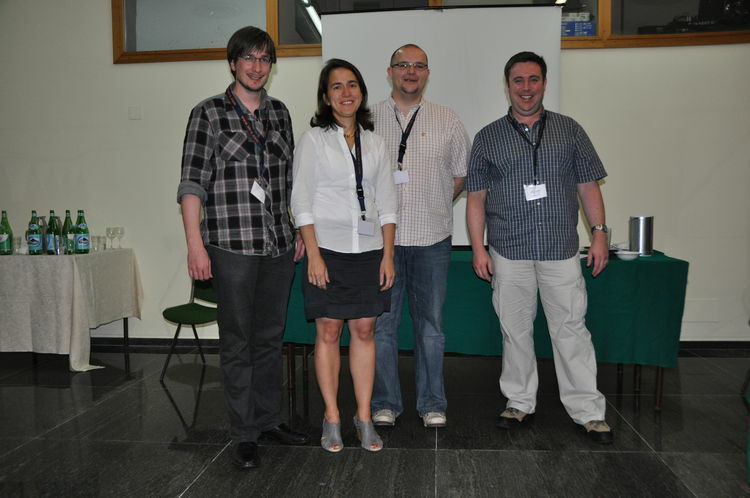 The 2nd Workshop on Awareness and Reflection in Technology-Enhanced Learning (ARTEL 2012) builds upon several successful workshops. 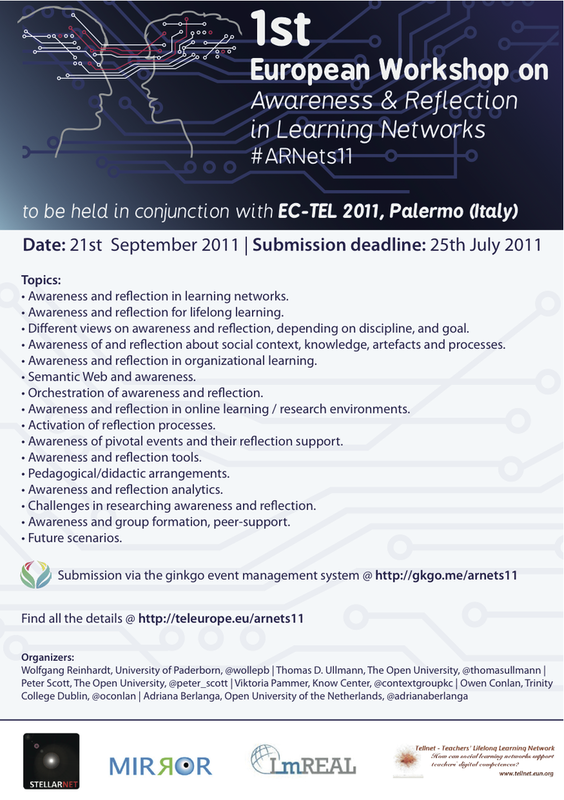 1st European Workshop on Awareness and Reflection in Learning Networks (ARNets11). 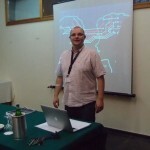 Workshop homepage: http://teleurope.eu/arnets11. Proceedings: http://ceur-ws.org/Vol-790/. Augmenting the Learning Experience with Collaboratice Reflection (ALECR11). Workshop homepage: http://www.i-maginary.it/ectel2011/index.html. 1st Workshop on Awareness and Reflection in Personal Learning Environemnts (ARPLE11). Workshop homepage: http://teleurope.eu/arple11. 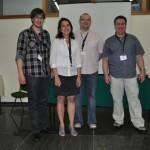 Proceedings: http://journal.webscience.org/view/events/The_PLE_Conference_2011/paper.html#group_Proceedings_of_the_1st_Workshop_on_Awareness_and_Reflection_in_Personal_Learning_Environments. The EC-TEL 2012: Seventh European Conference on Technology Enhanced Learning will take place between the 18th and 21st of September 2012 in Saarbrucken, Germany. This year’s motto is 21st Century Learning for 21st Century Skills. The morning session starts with the presentations of the accepted papers and demos. The first half will be on awareness and the second half on reflection. The whole afternoon consists of several interactive session. The workshop takes place in Building B 4 1, room 0.17 (see: http://ec-tel.eu/program/timetable). 10:45-10:55 Empowering students to reflect on their activity with StepUp! : Two case studies with engineering students. Thank you for the interesting workshop! Today, the 5th of April 2012, is a memorable day for you. Congratulations Dr. Wolfgang Reinhardt for your successful defense of your thesis “Awareness – Supporting Knowledge Workers in Research Networks”. I am happy that I have known you now for a couple of years. For your big day today I saved some pictures from a variety of events we shared together. Enjoy the show. A virtual cheers from Milton Keynes. Social Network Analysis as a research tool has already a long tradition and many articles have been published. For a recent collaboration with Rory Sie, Kamakshi Rajagopal, Karina Cela, Marlies Bitter-Rijpkema, Peter Sloep, and myself on Social Network Analysis in the area of technology-enhanced learning, I prepared a co-citation analysis, which gives an overview of the topic and especially shows the multidisciplinary character of the field. A literature search for social network analysis was conducted using Thomson Reuters Web of Knowledge (February 2012). The topic search included the key terms “social network analysis”, “network analysis” in combination with “technology-enhanced learning”, “TEL”, “e-learning”, “social science”, “educational science”, “psychology”, “computer science”, and “information science”. 133 papers matched the search query and were used in a co-citation analysis. A co-citation relation exists if two documents are cited together in an document. In total 5693 references were extracted. The graph was pruned by filtering all articles that had less than six citations in the 133 papers sample. Our collaboration focuses especially on SNA for learning, however the body of knowledge is broader, which everyone researching SNA for TEL can benefit from. Ahlgren, Per, Bo Jarneving, and Ronald Rousseau. 2003. “Requirements for a Cocitation Similarity Measure, with Special Reference to Pearson’s Correlation Coefficient.” Journal of the American Society for Information Science and Technology 54 (6) (April 1): 550–560. Barabási, A.L, H Jeong, Z Néda, E Ravasz, A Schubert, and T Vicsek. 2002. “Evolution of the Social Network of Scientific Collaborations.” Physica A: Statistical Mechanics and Its Applications 311 (3–4) (August 15): 590–614. Hirsch, J. E. 2005. “An Index to Quantify an Individual’s Scientific Research Output.” Proceedings of the National Academy of Sciences of the United States of America 102 (46) (November 15): 16569–16572. Liu, X., J. Bollen, M.L. Nelson, and H. Van de Sompel. 2005. 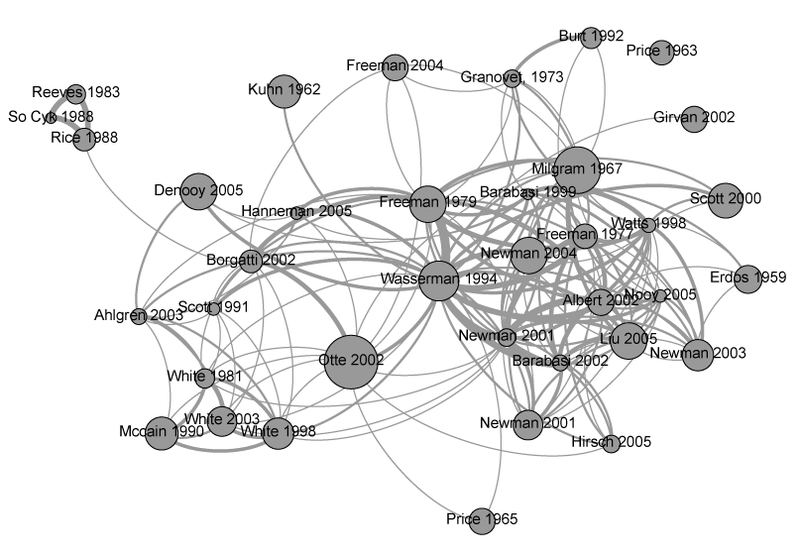 “Co-authorship Networks in the Digital Library Research Community.” Information Processing & Management 41 (6): 1462–1480. McCain, Katherine W. 1990. 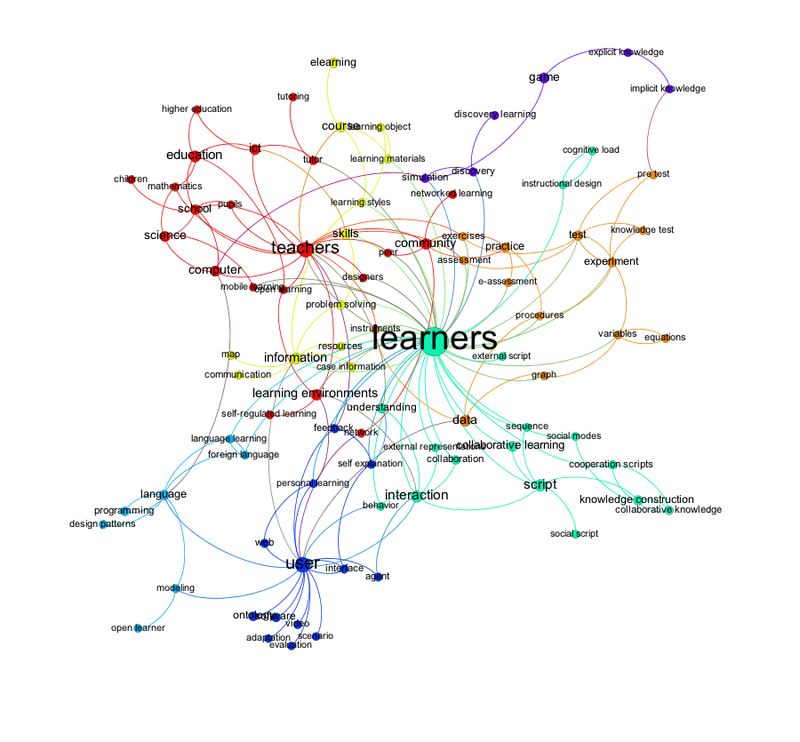 “Mapping Authors in Intellectual Space: A Technical Overview.” Journal of the American Society for Information Science 41 (6) (September 1): 433–443. Newman, M. E. J. 2001. “The Structure of Scientific Collaboration Networks.” Proceedings of the National Academy of Sciences 98 (2) (January 16): 404–409. Newman, M. E. J. 2004. “Coauthorship Networks and Patterns of Scientific Collaboration.” Proceedings of the National Academy of Sciences 101 (suppl_1) (January 23): 5200–5205. Otte, Evelien, and Ronald Rousseau. 2002. “Social Network Analysis: a Powerful Strategy, Also for the Information Sciences.” Journal of Information Science 28 (6) (December 1): 441–453. Reeves, Byron, and Christine L Borgman. 1983. “A Bibliometric Evaluation of Core Journals in Communication Research.” Human Communication Research 10 (1) (September 1): 119–136. Rice, Ronald E, Christine L Borgman, and Byron Reeves. 1988. “Citation Networks of Communication Journals, 1977–1985 Cliques and Positions, Citations Made and Citations Received.” Human Communication Research 15 (2) (December 1): 256–283. So, C.Y. 1988. “Citation Patterns of Core Communication Journals: An Assessment of the Developmental Status of Communication.” Human Communication Research. de Solla Price, D. J. 1965. “Networks of Scientific Papers.” Science 149 (3683) (July 30): 510–515. White, H.D., and K.W. McCain. 1998. 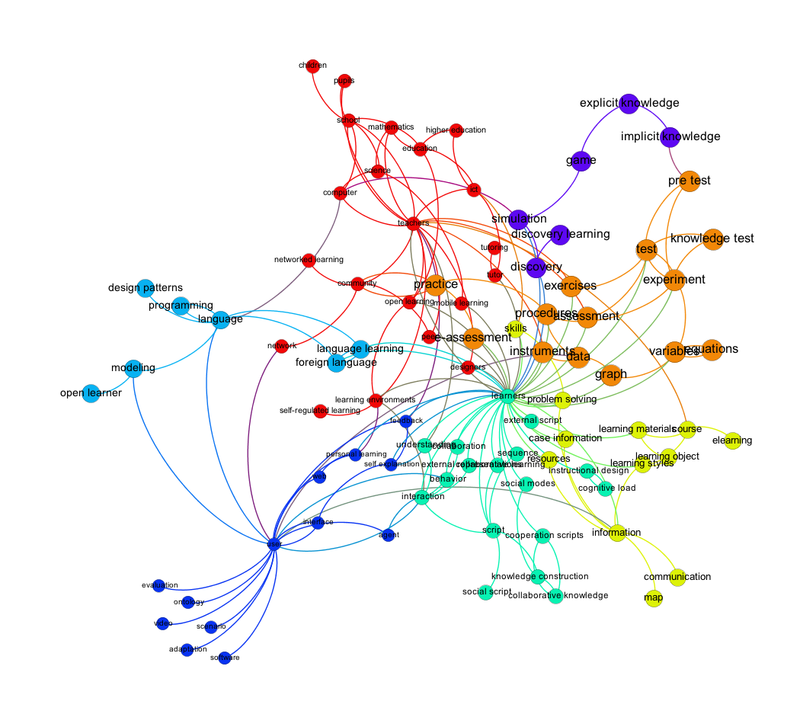 “Visualizing a Discipline: An Author Co-citation Analysis of Information Science, 1972-1995.” Journal of the American Society for Information Science 49 (4): 327–355. White, Howard D. 2003. “Pathfinder Networks and Author Cocitation Analysis: A Remapping of Paradigmatic Information Scientists.” Journal of the American Society for Information Science and Technology 54 (5) (March 1): 423–434. White, Howard D, and Belver C Griffith. 1981. “Author Cocitation: A Literature Measure of Intellectual Structure.” Journal of the American Society for Information Science 32 (3) (May 1): 163–171. Albert, Réka, and Albert-László Barabási. 2002. “Statistical Mechanics of Complex Networks.” Reviews of Modern Physics 74 (1) (January 30): 47–97. Barabási, Albert-László, and Réka Albert. 1999. “Emergence of Scaling in Random Networks.” Science 286 (5439) (October 15): 509–512. Erdös, P, and A Rényi. 1959. “On Random Graphs, I.” Publicationes Mathematicae (Debrecen) 6: 290–297. Freeman, L.C. 1979. “Centrality in Social Networks Conceptual Clarification.” Social Networks 1 (3): 215–239. Girvan, M., and M. E. J Newman. 2002. “Community Structure in Social and Biological Networks.” Proceedings of the National Academy of Sciences 99 (12) (June 11): 7821–7826. Linton C. Freeman. 1977. “A Set of Measures of Centrality Based on Betweenness.” Sociometry 40 (1) (March 1): 35–41. Newman, M. E. J. 2003. “The Structure and Function of Complex Networks.” SIAM Review 45 (2) (June 1): 167–256. Watts, Duncan J., and Steven H. Strogatz. 1998. “Collective Dynamics of ‘Small-world’ Networks.” Nature 393 (6684) (June 4): 440–442. Hanneman, R.A., and M. Riddle. 2005. Introduction to Social Network Methods. University of California Riverside. Scott, John. 2000. Social Network Analysis: a Handbook. SAGE. Wasserman, Stanley, and Katherine Faust. 1994. Social Network Analysis: Methods and Applications. Cambridge University Press. Nooy, Wouter de, Andrej Mrvar, and Vladimir Batagelj. 2011. 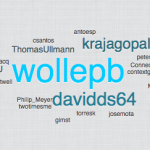 Exploratory Social Network Analysis with Pajek. Cambridge University Press. Borgatti, S.P., M.G. Everett, and L.C. Freeman. 2002. “Ucinet for Windows: Software for Social Network Analysis.” Harvard Analytic Technologies 2006. Freeman, Linton C. 2004. The Development of Social Network Analysis. Booksurge. Granovetter, Mark S. 1973. “The Strength of Weak Ties.” American Journal of Sociology 78 (6) (May 1): 1360–1380. Milgram, S. 1967. “The Small World Problem.” Psychology Today 2 (1): 60–67. Burt, Ronald S. 1995. Structural Holes: The Social Structure of Competition. Harvard University Press. Kuhn, Thomas S. 1996. The Structure of Scientific Revolutions. University of Chicago Press. Price, Derek J. de Solla. 1963. Little Science, Big Science. New York: Columbia University Press. 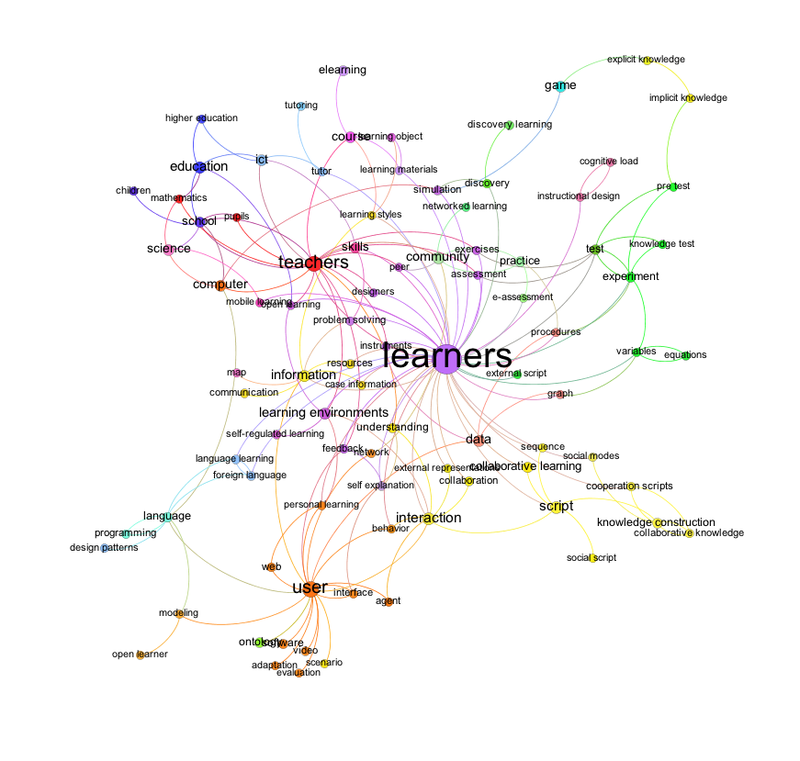 The dataset consists of a directed graph of terms that have been extracted from the paper corpus of the TEL Open Archive. For example, “open-learning” is linked to “learners” because “learners” is one of the top words appearing in “open-learning” close context (close context: 50 words before-50 words after the word). But “learners” is not directly linked to “open-learning” because other words appears much many times that “open-learning” actually do in “learners” close context. I had a go with the dataset using the SNA tool GEPHI and had some interesting findings. In the first picture, I created a graph without community detection. I filtered the “long tail” of words based on the degree of each node. In a next step, I applied a community detection algorithm. A community shows a dense connection within the community and sparse connection between communities. Each community has its own colour. The size of the nodes is still based on the degree of the node. In a last step I changed the ranking for the node size from the node degree to the community degree of each node. Instead of using the degree (in/out-degree) for the size of the nodes, I used the weights of the nodes in each community. This is the difference between the figure two and three and is also the reason for the different layout of the graph. Just by looking at the last graph, I would say that the connected words make very much sense, and some topics become apparent. 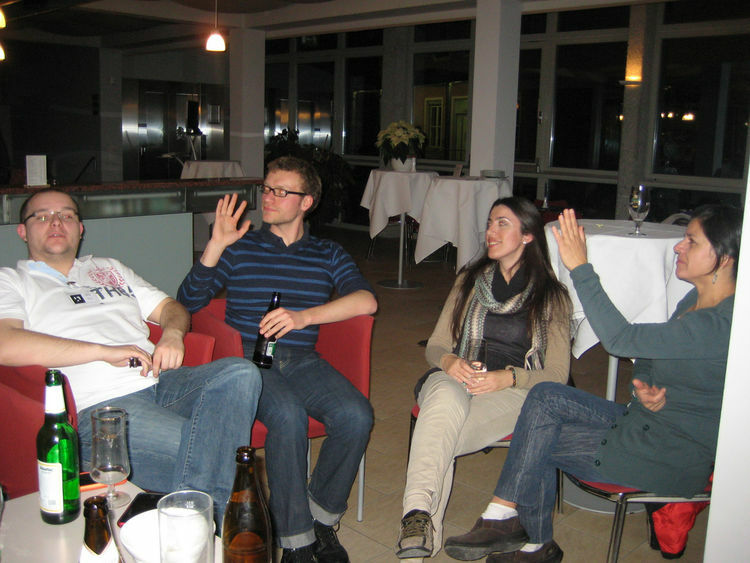 And we encourage participants from both workshops interact during the coffee break. Please join this group to stay updated about the event: Awareness and Reflection in Technology-Enhanced Learning (if you are not a member of TELeurope by now, please register first and then join the group). To receive emails about activities of the group enable the “Group Notifications” in the “Settings” menu on top of the page. The Awareness and Reflection in Learning Networks workshop aims to build an interdisciplinary understanding of issues regarding awareness and reflection in networked learning. It will attract participants from social science, computer science, design, psychology, and learning sciences to challenge the understanding of the fields of awareness and reflection in Technology Enhanced Learning. The participants will present and discuss their papers and work together on an integrated roadmap for future research in this field. As the workshop topics overlap significantly with those of EU FP7 projects: ImREAL, MIRROR, STELLAR, TELLNET, MATURE, and TELMap the workshop will also act as forum for communication between these communities. In today’s economy, knowledge is one of the most important resources for both individuals and organizations. People invest significant efforts in the design and development of learning resources and software that strives to enhance the learning successes of individuals and groups. Networking, exchanging ideas and using tools for research on the Web are essential parts of their learning practice. While learners are, to a certain degree, aware about their relations in these networks and the partners of their communication, technology can make explicit related activities beyond the individual focus of attention. Additionally, technology can help learners bring knowledge and knowledge needs from their individual learning space into networked environments. It is important to note that not all activities relevant for learning already happen in online networks. Rather, motivated individuals engage in these networks, but there are lots more learners who could profit from such an engagement, but just never take the necessary steps. Here, technology can help e.g. by raising awareness about a learner’s activities or those of others, related communities, information needs, etc. Computer-mediated communication has the advantage that it can create mirroring artefacts, which capture learning analytic data to help learners to become aware and to reflect. These can be (1) via mirroring information, which would normally be visible in face-to-face situations, but which can be viewed as a highlight or learning-focused selection, and (2) mirroring information, which is normally invisible in face-to-face situations, but that has the potential to improve the working or learning process. This information could help learners to become aware of their constantly changing connections and interactions beyond their individual context and help them to reflect upon. 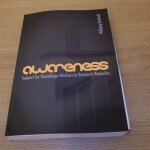 Traditionally the concept of awareness is used in the research field of CSCW to re-establish awareness conditions of face-to-face situations with visual cues showing for example, who is online or working on a document. In the field of perception psychology, awareness is the state or ability to focus on certain stimuli of the environment while ignoring others. Here, being aware of something does not necessarily mean to understand it. In marketing, awareness usually relates to the degree consumers knows about a certain product. Generating public awareness is deemed as a task of the media to establish topics the public should know about. The term ‘awareness’ has several context-dependent meanings; the same applies for the term ‘reflection’. In educational science, reflection could be seen as a critical, rigorous, and evidence based thinking, often activated by a puzzling (new) situation, involving (re-)thinking and a learning of a new understanding. Here, successful reflection leads to learning. Reflection can be also seen as a psychological process, a way of self-reflection, to inspect a way of thinking and may lead to a deeper understanding of one’s learning strengths and weaknesses. In computer science, reflection can refer to the ability of programs to inspect its behaviour to adapt accordingly. The relation between awareness and reflection is that awareness of something may lead to reflection, or inversely, without being aware of something one cannot reflect on it. Especially in our fast-paced, ever dynamic world, where knowledge is a valuable (economic) asset, self-directed and lifelong learning are very important for learners, and for organisations it is important to have members who are able to do that. Through becoming aware of a certain fact, learners can reflect on it and eventually learn something new. 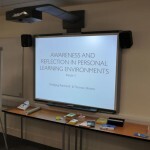 Considering the multitude of views on awareness and reflection one of the questions is what does it mean for Technology Enhanced Learning and how does it relate to Learning Networks? We understand Learning Networks (LNs) as online communities in which users share existing information and cooperatively create new knowledge. This way, Learning Networks help participants to develop their skills and competences in often non-formal, unplanned and ad-hoc learning situations and educational contexts. Whilst there are many standards and technical approaches to overcome silo-boundaries of the used leaning services and tools in terms of re-usability and interoperability, there are hardly any working solutions to enhance awareness and support reflection processes in such infrastructures, and to foster participation in learning networks. Furthermore, most of the tools applied were not designed to engage persons in active participation but to consume and absorb information provided. There is a pressing need to directly support the instrumentation of awareness, and the activation of reflection processes. More and more companies, (educational) institutions and research projects in which knowledge and knowledge transfer are the core of the daily business are implementing social media in their organizations. Explicating knowledge and their carrier are key features for learning in networks. With the rise of mobile small screen devices, the prerequisites to be aware of the different dimensions of the context of artefacts, like time, location, environment and relations between artefacts would be available. As Social Media, learning services and mobile Internet grow together, those will be one of the main resources for informal learning. Awareness support for lifelong learners in learning networks will help to make sense of the footprints of the usage of social media and mobile environments and will support the reflection about the fast changing dynamics in open research environments. Awareness support about learning activities in general will help learners identify knowledge that can be integrated in such learning networks, and knowledge needs that can be addressed in such learning networks. This full one-day workshop brings together people from different domains to enable multi-disciplinary discussion of the topic. Before the workshop, participants are invited to participate in the awareness and reflection group on TELeurope , and to discuss their papers prior to the workshop. Additionally, they are expected to provide a list of their personal research challenges in the area of awareness and reflection in learning networks. The topics identified online prior to this workshop will guide the discussion of the individual presentations and will be summarized in an open discussion round at the end of the session called “Research Challenges in Awareness and Reflection Learning Networks”. The ARNets workshop focuses on current research trends in the field of awareness and reflection in the domain of learning networks / networked learning. The workshop seeks to attract quality research papers that propose solutions to the issues identified above. The workshop also welcomes papers that comment how the application of social media can impact on real life experiences in such communities. It aims to bring together scientists, designers and engineers who work on designing and/or developing the above mentioned solutions, as well as practitioners who use and evaluate them in diverse authentic environments. We encourage authors to present their interdisciplinary results and such that focused on technical, psychological and/or pedagogical challenges. # Awareness and reflection in learning networks. # Awareness and reflection for lifelong learning. # Different views on awareness and reflection, depending on discipline, and goal. # Awareness of and reflection about social context, knowledge, artefacts and processes. # Awareness and reflection in organizational learning. 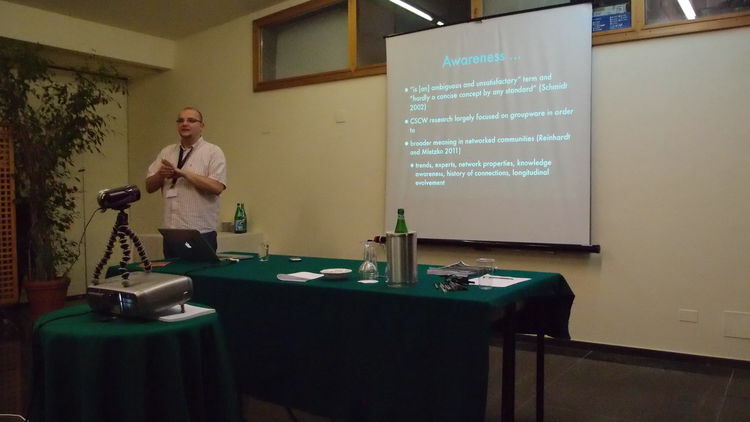 # Semantic Web and awareness. # Orchestration of awareness and reflection. # Awareness and reflection in online learning / research environments. # Activation of reflection processes. # Awareness and reflection tools. # Awareness and reflection analytics. # Challenges in researching awareness and reflection. # Awareness and group formation, peer-support. # Full papers: (12-16 pages) that describe problems, needs, novel approaches and frameworks within the scope of the workshop. Empirical evaluation papers and industrial experience reports are welcome for submission. # Short papers (6-10 pages) that state the position of the authors within the scope of the workshop and describe solution concepts and work in progress. # Posters and demo papers (1-2 pages) that summarize preliminary work results. All submitted contributions will be peer-reviewed by at least two members of the program committee for originality, significance and quality. The papers will be published in the CEUR-WS.org (http://ceur-ws.org) workshops proceedings (a publication series with ISSN). Furthermore selected papers will be part of a Special Issue in a well-known international Journal (currently in negotiations). Submissions should use the Springer LCNS template (http://www.springer.com/computer/lncs?SGWID=0-164-6-793341-0). We encourage you to produce your submission using LaTeX as typesetting tool and the respective LaTeX template. Each presenter will have 15 Minutes for presentation, followed by 10 minutes for discussion. Authors are asked to prepare discussion items that they would like to discuss with the audience. 09.10 – 09.35 Balzert, Fettke & Loos: Enhancement of traditional Business Process Management with reflection – a new perspective for Organisational Learning? During the coffee break you will have the opportunity to meet the participants of the TEL-Think-Tank workshop. There are stong links between our both workshops, which are worth to explore. 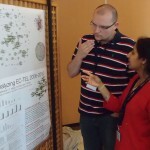 15.55 – 16.15 Demos and Posters: Want to show something related to the workshop? This is your time. Give a quick note to one of the organizers and we will set up everything for you. We will use both hashtags for crosslinking between the communities. Use the hashtag #arnets11 for your slides as well. You can also link from this page to your slides, as every member of this group can edit this page. Enhancement of traditional Business Process Management with reflection – a new perspective for Organisational Learning? You’ll find the pictures I have taken on Flickr. 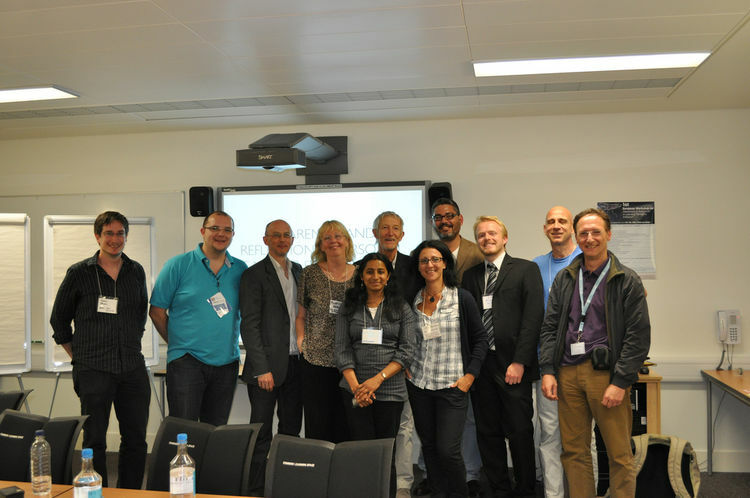 Thanks again to all attendees of the workshop for the great papers and contributions to the discussion. During the summer school on Technology-Enhanced Learning Peter Kraker, who led the session on “Using Web 2.0 in your PhD”, asked the question, what are your five Web 2.0 tools you are using for your research? Google Scholar: Mostly I use it in combination with the Publish or Perish tool, which ranks the results as a hint of highly cited papers (although I am not a big fan of such metrics, but it helps). Sometimes I cross check with Microsoft Academic Search, which has additional information about authors, timelines, co-author graphs, etc. To manage my bibliographic references I mostly use Zotero, a firefox plugin, which let me easily add metadata from publications to my repository as well as it shows me analytics of my publication store. It also does a good job in converting the publications in all forms of citations styles. It has also the facilities of sharing resources with other to build publication social networks. But the ladder one is less explored by myself. Google docs and Etherpad for collaborative writing in combination with video conferencing tools like Skype or Flashmeeting. Social Networking tools: I mostly use TELeurope, a social networking platform for people interested in Technology-Enhanced Learning. First I was thinking about using facebook or linkedin but discovered limitations regarding community building in the TEL area. TELeurope is thematically oriented on Technology-Enhanced Learning and provides for this purpose more tailored tools than the mentioned social networking platforms. This includes not only the group tools but also facilities of blogs, wiki-like pages, the liking of activities, podcast infrastructure, embedding of external widgets/gadgets, publication infrastructure, status updates (which can automatically be send to Twitter), to follow the activity of other people, a personalized dashboard and profile page, and some more. Another benefit is to have an aggregated view on all activities in the TEL area coming from all activities. This means that an activity can be visible by all TELeurope members (currently over 1000 real users), and not only by the group of the mentioned other social networking platforms. TELeurope is also set up in a way that updates are automatically shown in other services. This includes for example a TELeurope status update to Twitter features and TELeurope blog and wiki posts to a Facebook page. And more from a technical perspective. TELeurope uses the open source platform Elgg and therefore allows to engineer the platform for all upcoming needs of the community, compared to proprietary systems. 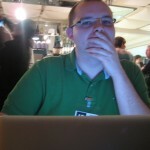 And the developments made at TELeurope are made available to the open source community. You can also participate. Write down your five tools and tweet the link with the hashtag #jtelss11. Wolfgang Reinhardt & Thomas Daniel Ullmann (eds. ): Proceedings of the 1st Workshop on Awareness and Reflection in Personal Learning Environments. 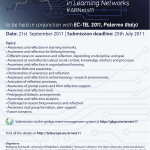 In conjunction with the PLE Conference 2011. Southampton, United Kingdom, July 11, 2011. 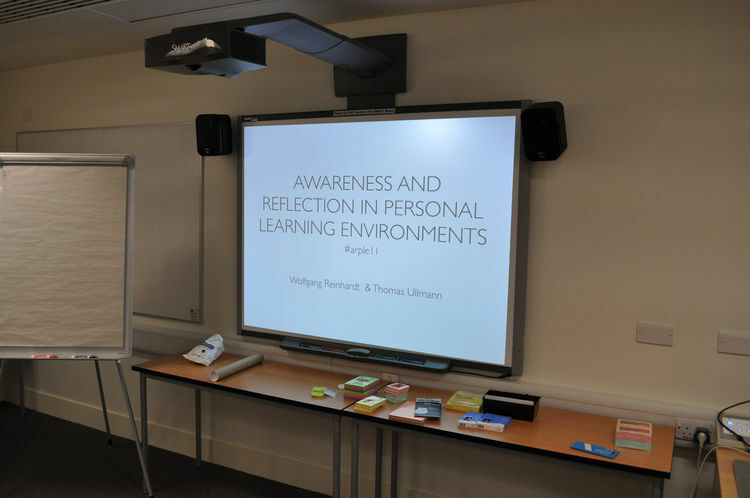 The workshop is intended to discuss and build an interdisciplinary understanding for the role of awareness and reflection in Personal Learning Environments. While different researchers have stressed the importance of awareness and reflection support in PLEs there is no agreed set of such functionalities in existence yet. Also we lack a structured overview of awareness and reflections issues that learners are facing in their daily learning activities. As both researchers and developers interested in the PLE domain seem to be in need of such information in order to best tailor their R&D activities, this workshop aims at collecting requirements and open issues in the domain. The workshop aims to attract participants from educational science, psychology, social science, computer science, and design to challenge the understanding of the research fields of awareness and reflection in Personal Learning Environments. We also aim to attract developers from academia and economy that implement personalizable learning environments. The concept of the workshop is target to collaboratively develop an integrated roadmap for future research and development in the domain. Therefore we designed the workshop as a highly interactive session. Starting with a short introduction of the work of the participants and their statements about the future challenges of their research we will work towards a roadmap of research in awareness and reflection with focus on Personal Learning Environments. For more information please visit the workshop website at TELeurope. The discussion papers can for example elaborate existing issues with awareness and reflection in PLEs, sketch ideas for supporting functionalities or discuss the results of ongoing research in the domain (5-10 pages). Please write an email to the organizers, to let us know that you are coming. Your submission will help us to structure the hands-on activities and discussions for the workshop. Submit to t.ullmann@open.ac.uk and wolle@upb.de. You will receive a confirmation within one day. Submissions should use the Springer LCNS template (http://www.springer.com/computer/lncs?SGWID=0-164-6-793341-0). We encourage you to produce your submission using LaTeX as typesetting tool and the respective LaTeX template. 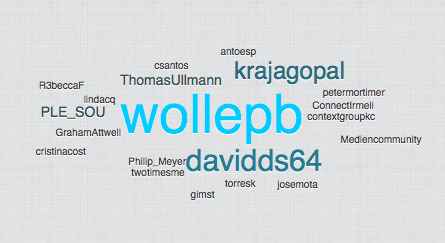 Wolfgang Reinhardt and Christian Mletzko: Awareness in Learning Networks. The term ’awareness’ finds it roots in the research on Com- puter Supported Cooperative Work (CSCW) and often does not reflect the changed modi operandi in today’s connected world. In this paper we argue that the term ’awareness’ needs to be understood in a broader way when used in the context of networked learning. In Learning Networks, awareness is increasingly related to finding appropriate learning objects, peers and experts or the ’right’ learning path. We discuss this different understanding and formulate open questions dealing with awareness in Learning Networks and Personal Learning Environments as well as their connection to reflection and issues of technical feasibility. Kamakshi Rajagopal: Supporting Network Awareness: easing the learner’s journey or challenging them to see? This paper argues for a changed vision and approach to the design of technologies supporting awareness and reflection for learning in social networks. It discusses the relationship between awareness, reflec- tion and learning, and looks into what supporting these functions with technology for the purpose of learning actually entails. 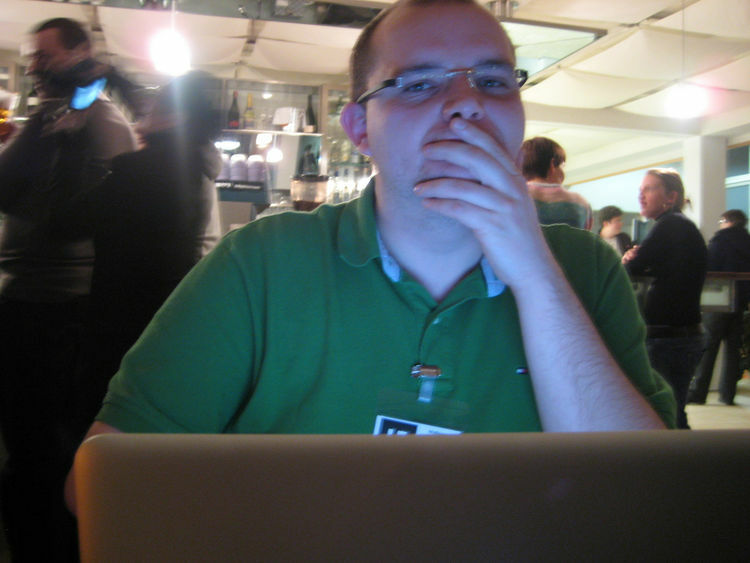 Blogs provide environments within which people can articulate, refine and reflect on practice. These characteristics make them useful for learners who are developing the practical skills and learning dispositions associated with authentic enquiry. The EnquiryBlogger tool is being developed to extend the core features of a robust, open source blogging platform in order to support awareness and reflection for enquiry-based learners. The first phase of the project developed blog plug-ins, together with associated teacher dashboards, and piloted their use. Feedback and use data show that the tools support reflection and are valued by learners. The pilot study has informed the development of a second phase of the project, which will support customization of these tools and increase learners’ opportunities to develop awareness of the experiences of others. Mentoring supports the process of becoming self-aware of personal believes and to engage with a topic of concern in a reflective manner. With new media, also new opportunities and new means for mentoring have arisen. In this contribution, we outline how an established face-to-face mentoring process has been ‘translated’ into an online mentoring system. It outlines the design decisions made for an initial online mentoring system supporting mentees to gain self-awareness of and to reflect about life-long learning skills. The purpose of the development process was to detect the essential and the suitable elements for an online version of a face-to-face mentoring practice. The University of Augsburg offers an optional study programme, in which students acquire key competencies through participating in informal, self- organised project work. The learning design of this programme builds on the stu- dents’ reflection of the project experiences with regard to their competency devel- opment. The reflection also serves for assessment purposes and is organised via an ePortfolio system (www.begleitstudium.imb-uni-augsburg.de). This paper presents research, conducted in order to enhance the portfolio-based assessment. Especially, more advanced feedback mechanisms have been proposed in a scenario approach. Qualitative interviews with students show that feedback is only desired under spe- cial circumstances. Acceptance factors as identified in this explorative study are in particular prior experience, privacy concerns and relevance for grading. Context: A globally targeted portfolio of distance learning programmes delivered to a large number of students. Some students are helped in their studies (to varying degrees e.g. from lectures to library provision) via affiliate teaching institutions while others follow a more traditional study-alone pathway. Problem: There are limited opportunities for social interaction for learners who follow the study-alone pathway. The lack of social interaction and social scaffolding impacts negatively on the student learning experience and can reduce: motivation, achievement, retention and progression. The problem space we are researching relates to can we support study-alone student in finding (and taking advantage of) opportunities for peer learning and reflection at a distance. Solution: One of the solutions we are investigating is to encourage students to organise themselves into study groups (we are thinking below the level of community) and engage a suite of platforms and services (their PLE/PLN?) to support this activity space. The question remains, what is needed to help develop, nurture, motivate and sustain an online study group. The workshop is organized in a highly interactive format. Expect something else than a typical workshop. Participants are asked to write down their feedback and to hand it over to the speaker after the presentation, following a short discussion. The pool is filled with the initial challenges from the last slide. Everyone can take from the pool one challenge and annotate it, or pass it back to the pool, or add a new challenge. Cluster it: Everyone introduces their annotated challenge paper. Afterwards the goal is to find three to four general areas in which the challenges could be subsumed. These are then visualized with a Card story board. For each of the three to four grand challenges we will create a mockup or a scenario.